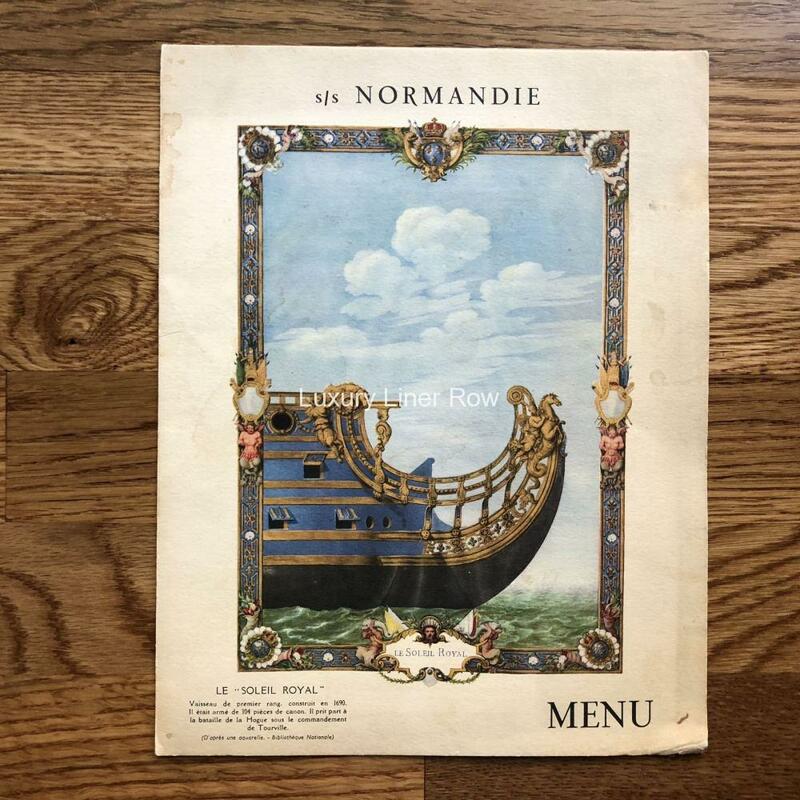 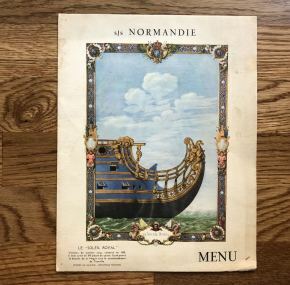 Nice menu for tourist class on board Normandie. 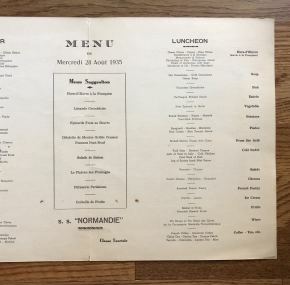 Menu is in both English and French. 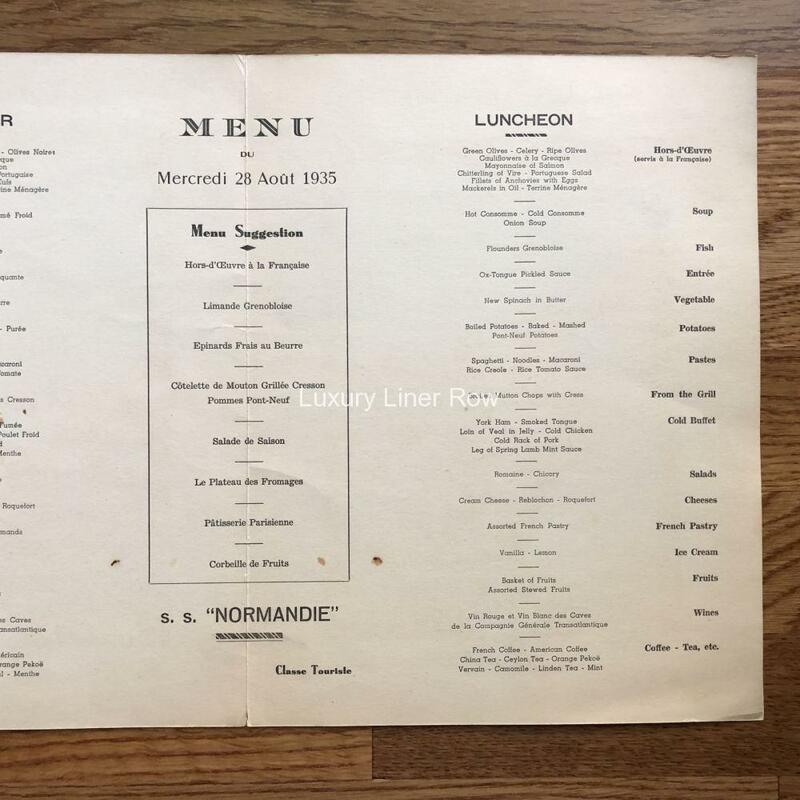 Dated August 28, 1935.